Following the 2007-2008 financial crisis, the Federal Reserve maintained the federal funds target rate at a low of 0.25% through the end of 2015. This aggressively accommodative monetary policy was adopted to help combat the recession, revive economic growth, and promote price stability. Over the course of the past several years, the U.S. economy has been growing steadily, with the current expansion becoming the second largest in post-war history. Consequently, we have seen seven increases in the fed funds rate since December 2015, bringing the target rate range to 1.75-2.0%. Backed by a strengthening labor market, growth in household spending and business fixed investment, and inflation nearing the 2% target, the Fed projects that the economy will continue to expand at an above-trend pace. As a result, the FOMC expects to continue to implement gradual increases in the target range for the federal funds rate over the medium term. The unemployment rate has remained consistently low, hitting 3.9% in July and August. 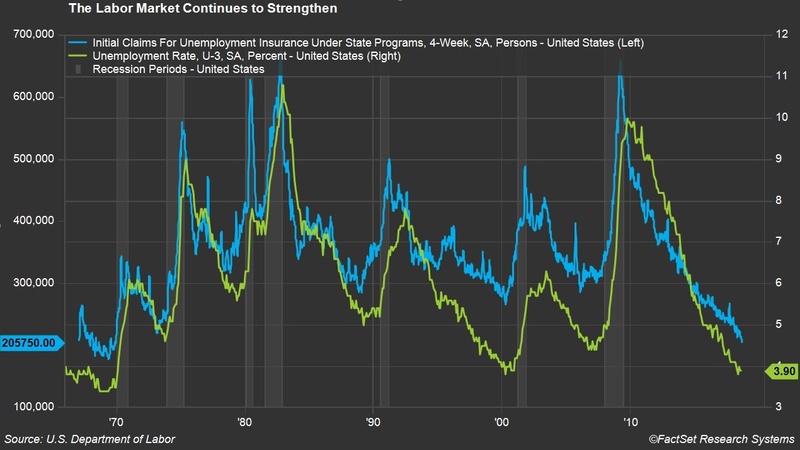 The four-week moving average of the number of Americans filing for jobless claims declined to 205,750 in the week ending September 15, a decrease of 2,250 from the previous period’s level of 208,000. Levels this low were last seen in the late 1960s. Meanwhile, both businesses and consumers are very optimistic. Due to last year’s tax cuts, businesses are spending more, with real business capital investment up 7% year-over-year in the second quarter. Household spending has also seen steady growth, registering a year-over-year increase of 2.6% last quarter. 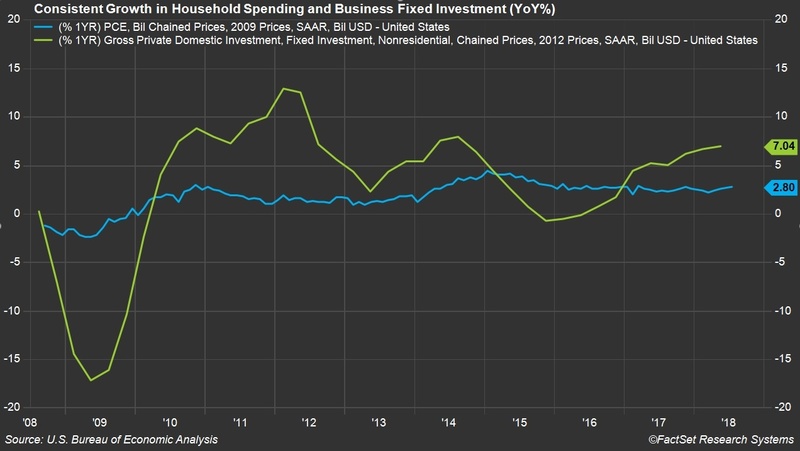 FOMC officials project that both household spending and business investment could expand faster over the next few years, partly as a result of these tax cuts. For most of the current economic expansion, inflation has remained subdued, with total annual CPI growth averaging just 1.7%. Now that we have entered the tenth year of this expansion, we are witnessing a steady uptick in inflation; in August, total CPI was up 2.7% year-over-year, while core inflation (excluding food and energy) saw a 2.2% gain from a year ago. However, the FOMC evaluates inflation based on the annual change in the personal consumption expenditures (PCE) price index, and its 2% inflation objective is based on this number. In July, the PCE price index showed year-over-growth of 2.3%, with the core index up 2.0%. 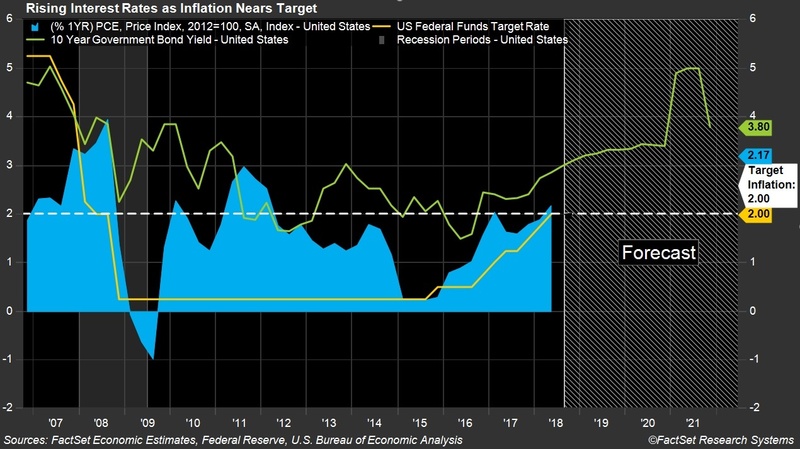 At the July 31/August 1 FOMC meeting, many of the participants agreed that if these economic indicators continue on a positive trajectory, gradual increases in the target rate would be the appropriate course of action to remove policy accommodation. Consequently, the market is nearly unanimous in expecting a rate hike at this week’s FOMC meeting. Based on probabilities calculated using CME fed funds rate futures prices, the odds of a rate hike at the September 26 meeting are currently 93.8%. This would bring the target federal funds rate to 2.25%. President Trump has voiced his concerns that raising rates will slow economic growth. 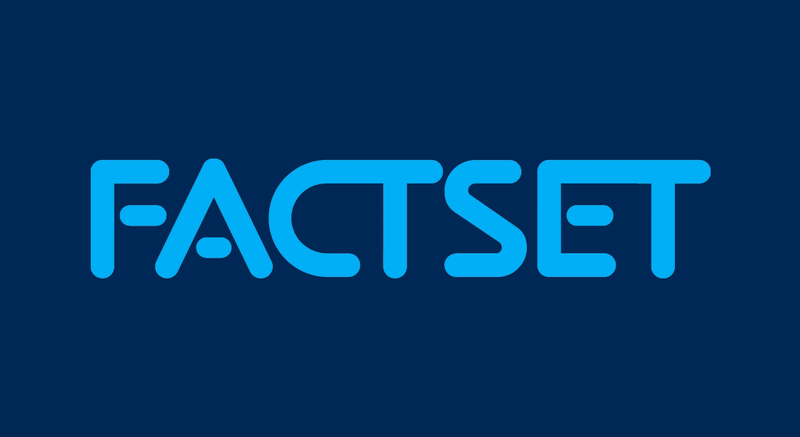 Higher interest rates act to slow domestic spending and investment. In addition, higher rates generally lead to a stronger dollar, making U.S. exports more expensive and widening the trade deficit. Meanwhile, we are seeing the spread between 10-year and 2-year bond yields moving towards zero. A flattening yield curve generally stirs fears of an upcoming recession. 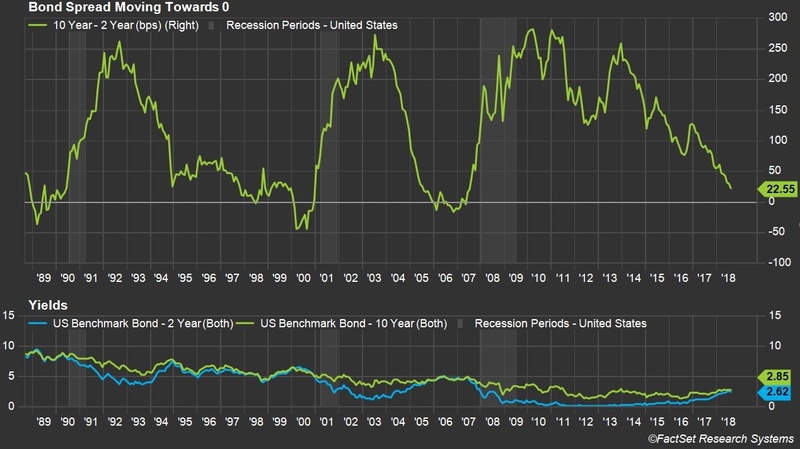 However, some argue that the yield curve is not the best leading indicator of a recession due to the distortion caused by the government’s bond purchases implemented as part of its quantitative easing program. In August, Federal Reserve Chairman Jerome Powell stated in his Jackson Hole, Wyoming, speech that the Fed’s goal is to strike a balance with two identified risks, “moving too fast and needlessly shortening the expansion, versus moving too slowly and risking a destabilizing overheating.” Though inflation is near 2%, there is no indication that it will accelerate above 2% and cause overheating. He believes this is in part a result of the ongoing normalization process. Despite President Trump’s uneasiness about rising rates, the Fed still appears to be on board with raising rates gradually through 2022 while carefully evaluating short-term and long-term risks. At the last FOMC meeting, some participants voiced concerns about trade tensions and related risks if they were not resolved soon. Agricultural prices have already taken a hit. Aside from a disruption in supply chains and decreased productivity, the concern is that businesses could cut back on hiring and capital expenditures. In addition to tariff increases, slow wage growth could also hamper the household sector’s purchasing power. Wages only increased 2.9% in August from the previous year, sparking concerns as inflation nears 2%. Recent tariff increases have also put increased pressure on input prices for residential construction. According to the Fed, higher mortgage rates, delays in building approvals, weakening home affordability, and the lack of available lots in some cities all reflect softening residential construction. August building permits and existing home sales declined 5.7% and 1.5%, respectively, from the previous year. However, new home sales increased 12.8% in July from the same period last year. Amidst trade issues and other concerns, it will be interesting to see how the Fed paves the way for rate increases over the course of the next year with aims to reach the estimated “neutral” rate. The neutral rate is the rate at which the economy is in equilibrium, where the policy rate neither fuels nor confines economic growth. It is unclear what that estimate is exactly among Fed officials, so it will be critical for the market to look for clues in the September meeting, and particularly in Powell’s post-meeting press conference. 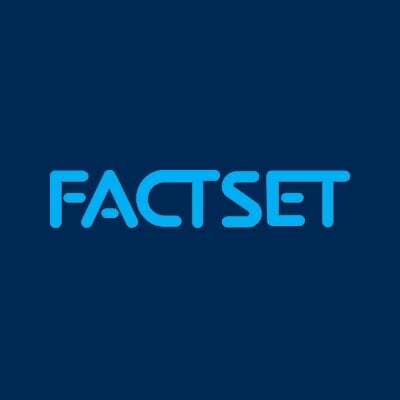 Shreya joined FactSet in 2006 and is based in New York.